With Trump’s election win, the visible Christian church is growing smugger and arrogantly bolder. Yet, as the birth pangs increase, with persecution on the rise, and the USA politically and culturally divided, few can completely push away the ominous sense of doom. Few Christians realize that this current economic boom is the last gasp before judgement. It will be a snare for the foolish Christian. Jesus warned there would prosperity coupled with national disasters, distress of the nations, and rising persecution just before the hammer falls. A few noted national Christian leaders are finally venturing to say judgment for America is looming. Unfortunately, Lotz warnings are not strong enough, they are too little and too late. Anyone warning on the national scene like Lotz, will be muffled because they lack the full impact of Christ and the Apostle’s prophesies concerning this very hour. Pillow prophets, who hear noted evangelicals like Anne Graham Lotz, will pounce and douse these warnings and decry those who warn as dooms day loose cannons. The false will continue to minimize warnings, by declaring that they are misinterpreting Scripture. However, true bonds servants of Christ will soon be releasing warnings and they will backed by the power of God and solid expounding of Biblical prophecy. Then the pillow prophets will be muzzled and egged faced. Until then, the false will counter-act warnings and relieve any distress that might wake up Christians. They declare that these troubles are not birth pangs of the coming Kingdom of God, but rather God shaking people awake and preparing for another grand awakening that will save America. 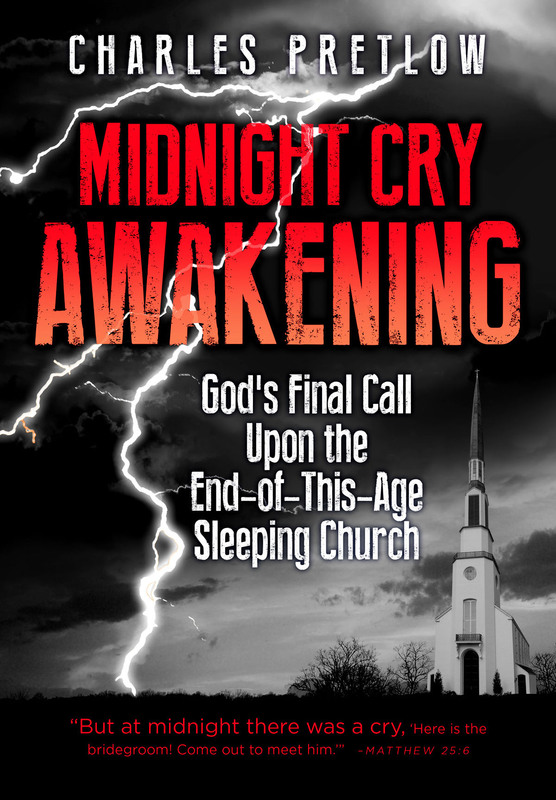 The following is an excerpt from our next book, Midnight Cry Awakening God’s Final Call Upon the End-of-this-Age Sleeping Church. God is looking to raise up true servants of Christ who will work in the coming midnight cry awakening. This final move of God will facilitate and lead into the last days final harvest. This portion of the book will help you understand what a true bond servant of Christ must act like from the heart. Following Christ is a radical change in all of life, and many relatives and family members may oppose such a move. Often disciples may find, like Peter, that they love work, people, and family more than they love Christ. These issues must be dealt with. When these issues are cleared up in the heart of a disciple, Christ will personally restore in manifold measure homes and significant relationships with proper boundaries, unless a relationship continues to live in sin, be abusive, and reject the Gospel, in that case the person may be evil and must be avoided entirely. The alternative is: if we do not leave the emotional and sometimes physical hold others have on us, we will not succeed in obtaining the grace of God and run the risk of falling away from Christ, potentially, losing eternal life. When you have gone through this sanctification process—where you put to death the deeds of the body by the Holy Spirit— the abundant joyful life in Christ is yours, a life in which you are safe, where Satan can’t blackmail or tempt you beyond your strength since the passions of the flesh are now crucified. “… for if you live according to the flesh you will die, but if by the Spirit you put to death the deeds of the body you will live. For all who are led by the Spirit of God are sons of God” (Romans 8:13-14). This is the life of a true disciple—always carries in the body the death of Christ, so the life of Christ is manifest through him or her and bestowed upon others. This is a life where rivers of pure and living water, the Holy Spirit, flows through you and out to others. Living water life full of wisdom, boldness, surety, confidence in God—that dares not rely on self. Discernment will be keen to judge evil from good, and solid faith to move mountains, and not glorifying self in the process. Your life will be a life of prayer and humility. You will not care about the appearance of righteousness, but you will live righteously from the heart. You will not put on a pretense of righteousness to make sinners feel lost. You will share your faith graciously without manipulation, pressure, or haughtiness. You will not waste time on liars, game players, and hypocrites. You will pray things through and then watch God’s will come to pass, since that is what God asked you to pray. You will live daily to do God’s will above all else. You will not have an attitude of working for God but rather a rest in God where His Spirit works through you to get His agenda done—not yours or man’s. This new life is the life of grace that comes only by the work of the cross and the baptism of fire. The cross brings to death our mixed motives—those hidden motives that drive us to serve God for our own exaltation and glory. The desires of the flesh are in check now that your personal spirit is no longer tied to the old nature. You will be able to put off the old nature that is like your former way of life because your inner mind, heart, and spirit have been transformed, renewed, cleansed and healed. Your heart and mind will be set on heaven and fighting for God’s will to be done on earth, above all else! Abiding in Christ comes when our inner issues and carnal agendas die, and we rest in the presence of God. We become trained to be aware of the presence of the Holy Spirit even when actively engaged in earthly tasks and conversation with others. You will know the will of God and fight for it. You will suffer the sufferings of Christ as you stand in the gap for those people in your life that God desires to set free. Your body will manifest the effects of this spiritual warfare in the form of aches, pains, mishaps and sometimes strange accidents—but always ending with God’s healing and strengthening. Emotional and spiritual oppression will come and go as you stand in the gap warding off Satan’s attacks against those he holds captive—while all through the battle, you will be sustained and strengthened by Christ until victory is achieved. Your life will not be fanatical and religious. The lost and weak Christian will feel safe to confess sins and ask for prayer and counsel. You will be stable, strong, caring, frank, loving, firm, courageous, meaningful, non-threatening, encouraging, sober; yet, fun-loving, childlike but mature, slow to speak, having words full of wisdom and grace, intolerant toward evil and evil people but patient with sinners, the brethren, and those who are weak. Say, this is how Jesus walked! “… he who says he abides in him ought to walk in the same way in which he walked” (1 John 2:6). You will not be afraid to confront evil and stand up for righteousness, even in the face of persecution. You will be proactive in your continued sanctification, ever pressing on to the high call of God in Christ Jesus. You will rejoice and not panic when trouble sweeps the land, even when afflictions strike home. You will be a pillar for loved ones to gather around for support and strength. You will know how and when to say “no” to those who flatter and use you. You will avoid doing for others what they need to do for themselves. You will wean out the game players after a season of support, knowing that Christ, not you, must now become their everything. You will learn to catch flattery and not let it deceive you. You will learn to die to the work God gives you, so you can hand it to your replacement when God calls you to other things or take a break before starting something new. People will see your strength, seek your help, and ask you to pray for them. You will learn to graciously but firmly tell those who seek your counsel what they need to hear not what they would like to hear in the flesh. You will stick to your word even if it personally turns out for the worst. Satan will know that he cannot buy you, blackmail you, pressure you, or intimidate you. Demons will know you as a true enemy. They will harass you and attack you so your victories and accomplishments in Christ will not puff you up. You will know you are a soldier for Christ whose heart and treasures are in heaven, and you will fight in the “war of the universe” that never ends until that Great Day—Christ’s appearance. You will understand the cost and be willing to lay down all glory for your King. In all of this, you will become a true disciple of Christ and walk as He walked. You will overcome, endure to the end, and be saved! All that I have written here is in Scripture. It is obtainable! The old nature can and must be dealt with through Christ in His discipline and His leadership. Grace will abound, and sin will no longer have dominion over you. You will succeed in crucifying the deeds of the old self, maintain power over the old nature, and be at rest, ready to meet the Lord in physical death or at His appearance. God will do mighty and terrible things when His leaders and workers, His remnant, have been thoroughly cleansed—when they walk as Christ walked. What will the Lord do when this purification is complete? “Then I will draw near to you for judgment; I will be a swift witness against the sorcerers, against the adulterers, against those who swear falsely, against those who oppress the hireling in his wages, the widow and the orphan, against those who thrust aside the sojourner, and do not fear me, says the Lord of hosts” (Malachi 3:5). And, “Since we have these promises, beloved, let us cleanse ourselves from every defilement of body and spirit, and make holiness perfect in the fear of God” (2 Corinthians 7:1). The Lord will have at His disposal a mighty army who will demonstrate the true power of God as they gather souls in the final great harvest! This is the time to get ready, dig deep, get right with God, and allow Him to crucify the works of the flesh within you. Let Him lay bare your motives, thoughts, and intentions of the heart. Embrace His discipline now so you be used of Him, and may stand at His coming.